Are You A Busy Woman On The Go? 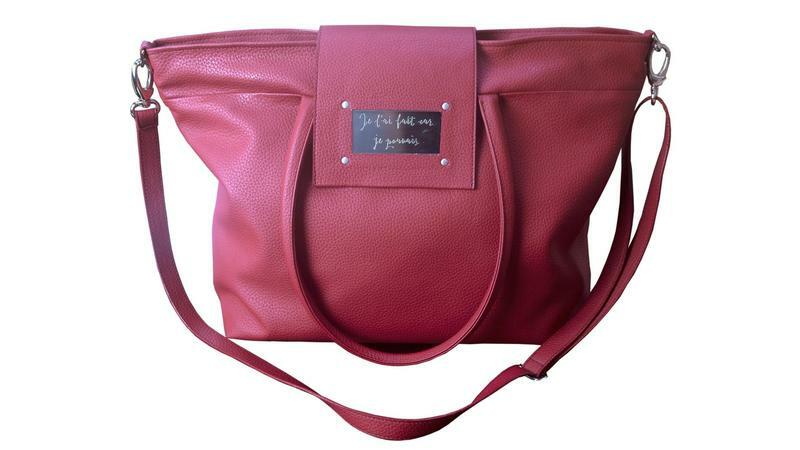 Meet The Grace Handbag From The Janet Jones Collection. She will help you make healthy lifestyle changes with ease and style! Be the first to own this luxury handbag that is ready to greatly improve your health and well being in 2019. Please allow 60 days for manufacture and delivery. 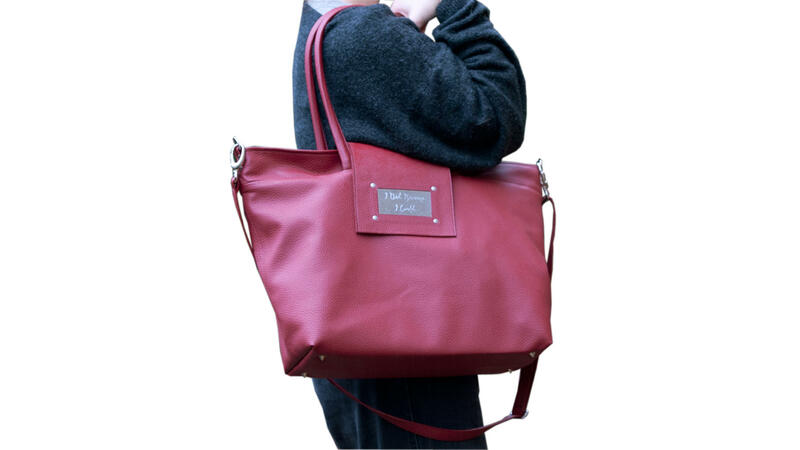 You will be able to walk tall with this handbag for years, knowing you are taking control of every part of your life. Plus, the added benefit of making a positive impact on the environment. 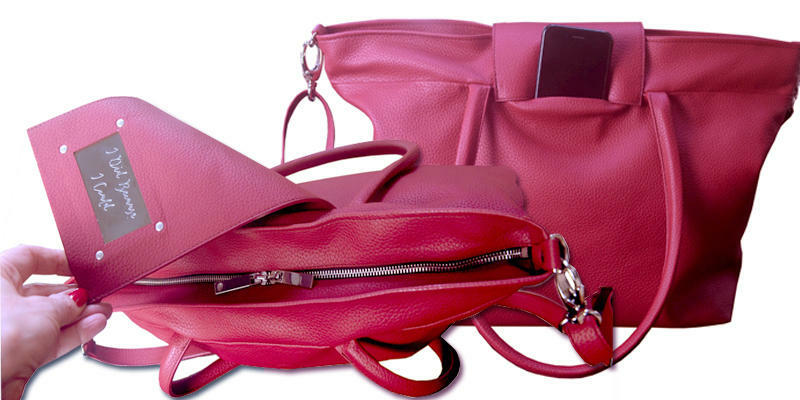 Grace is made from Eco-Leather. Instead of offcuts of leather going to over crowded landfill, they undergo a process that makes a beautiful soft Eco-Leather. You have to be an alien not to be aware of the catastrophe of plastic. Grace can help reduce your plastic waste with three fabric matching shopping bags that are always available. She has three special pockets inside where they live. Because they have Grace's natural style, you are more likely to put them away after you have unpacked them so they are always there when you need them. Grace puts the choice of what you eat back in your hands because another modern catastrophe is the Western diet. A healthy lifestyle will give you back years of your life, literally. PLUS, it is scientifically proven that eating lots of fresh fruit and veg makes you happier. By taking your own food with you, you are also reducing plastic waste. 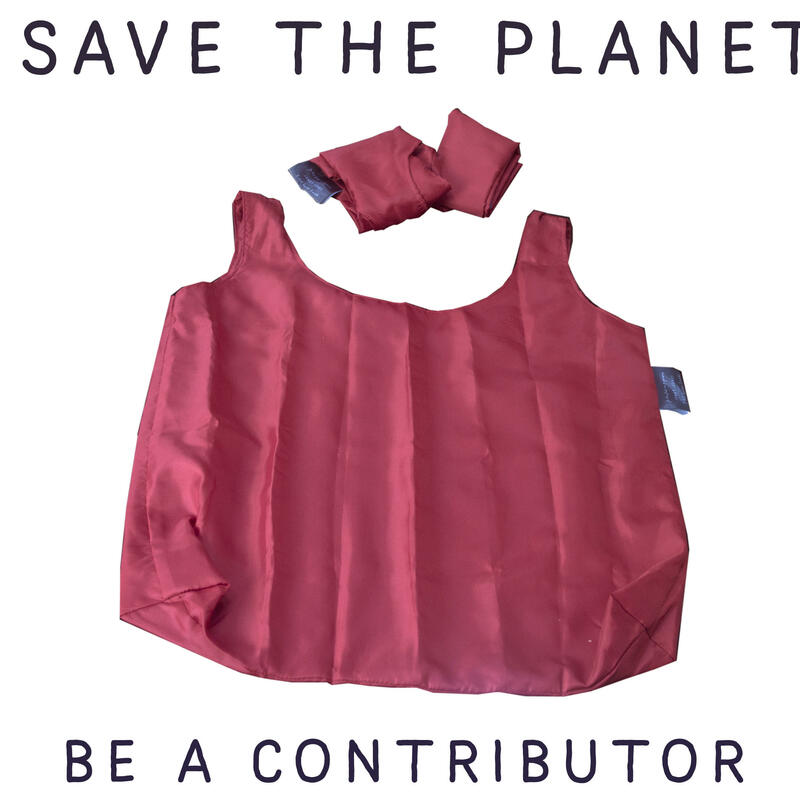 Imagine the environmental impact you can have while looking stylish and eating healthy. 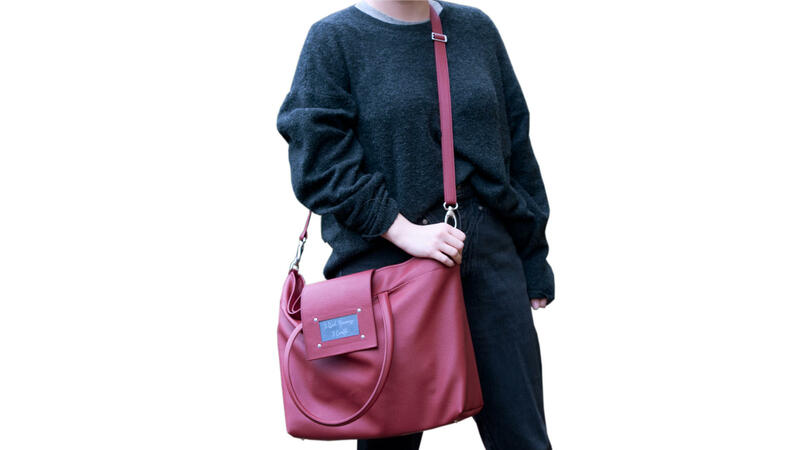 No more worrying about anyone accessing your bag in crowds. We live in busy cities and security is important for a good sense of well-being. Grace protects your valuables in two ways. 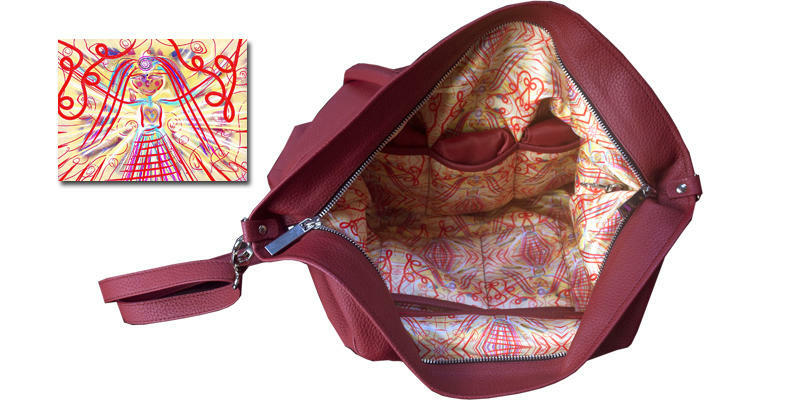 She has a double zip so that you can close the zip in the centre and protect the opening with the flap. I was on the London underground recently and I felt very safe. There is also a hidden pocket for your phone and travel or debit cards to make them easy to access. This beautiful bespoke art was designed by spiritual artist Linda Hortobagyi. After we had a three hour meeting discussing the power I wanted this bag to have, Linda channelled Grace. I selected a top quality silk lining for Grace to live on. It really is a joyous experience to open the bag. Her eyes smile with joy and optimism. The energy from her heart fills you with love and the wisdom from her mind has messages just for you. She has a bird on her shoulder which is your guide, whispering messages of courage and bravery. To my knowledge, no other handbag carries such subliminal messages. Grace knows that when we positively state something as being done, then we have to take the appropriate steps to making that happen. What would you do because you could? Would you get fitter? Would you set up a movement? Would you write a book? Would play an instrument, sing, act, learn a language? The imagination knows no bounds. It is us that stops it before it has even had the chance to get going. Grace wants you to lead the life that is right for you, that is fun, creative and fulfilling. 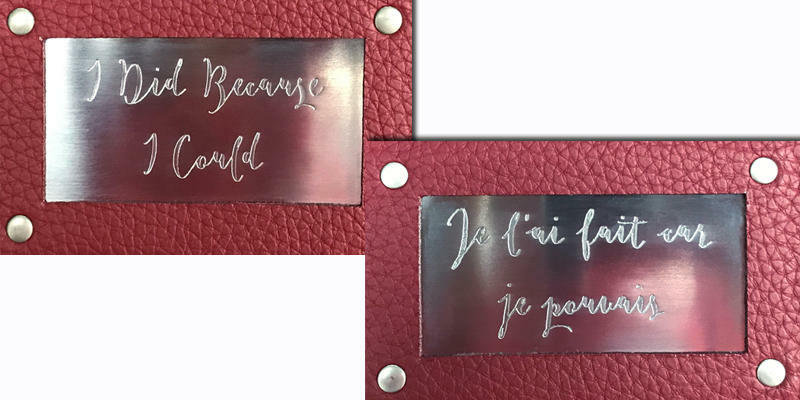 Her message is on the front in French because the French are known for style and also, in non French speaking countries, few people can read the message. The message is just for you. No need to speak to the world, it is private encouragement. Spring 2019, we will be launching Janet's Community, where you will find nutritional ideas to carry with you in your bag, PLUS expert interviews in nutrition and health and well being. Recycling leather is a great way to be king to the planet and the environment. This fabric is made from off cuts of leather that would normally find their way into over crowded landfill sites. 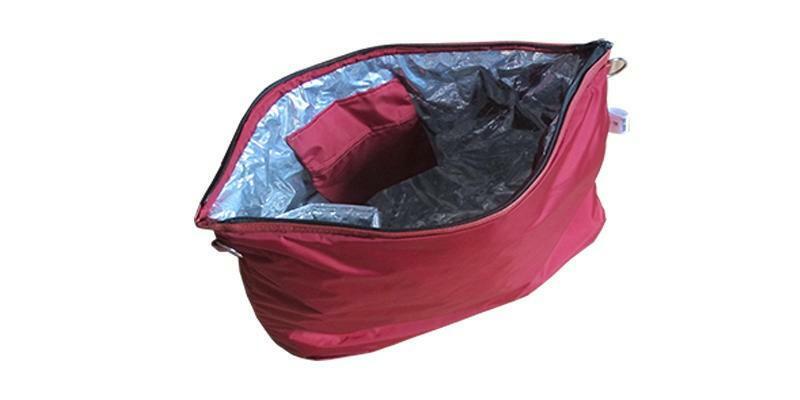 Perfect size for carrying all you need, iPad, laptop, phones etc.. plus space for the internal Thermal bag for your food. 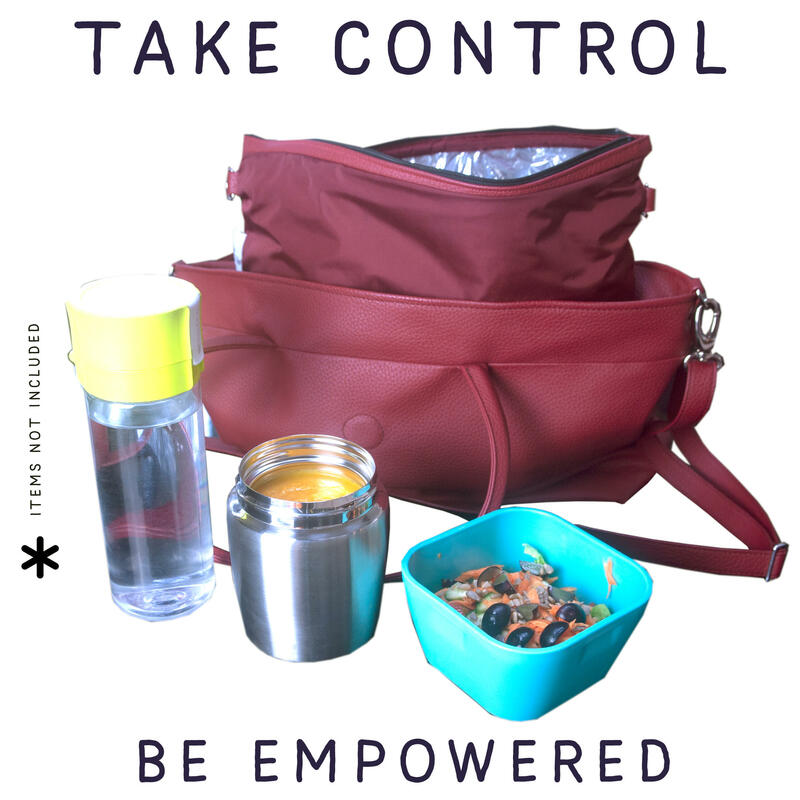 This empowering handbag has everything covered to make your life easy. A hidden pocket for phone and cards. 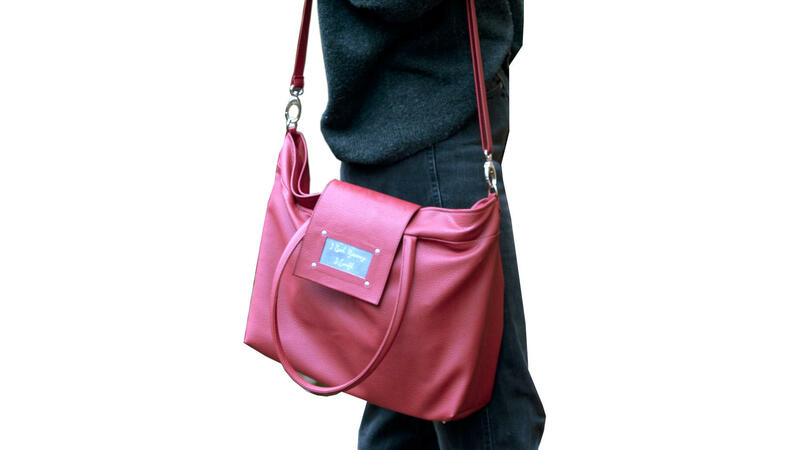 An extendable strap for carrying over the shoulder. A flap to cover the zip for peace of mind and inspiration from the statement on the steel plaque. Double zip to open bag at both ends. Bespoke art lining to inspire you and brighten your day. 3 pockets to house 3 matching fabric shopping bags. Zipped pocket for important documents. The double thermal layers keeps food cool in the summer and warm in the winter. Two pockets for 100g ice packs. These have been placed at the top to keep the bag cooler. Extra thermal holder for keeping water cooler and soup hotter and holding them in an upright position. I would like to invite you to become a founding member of Janet's Community before the end of March 2019. 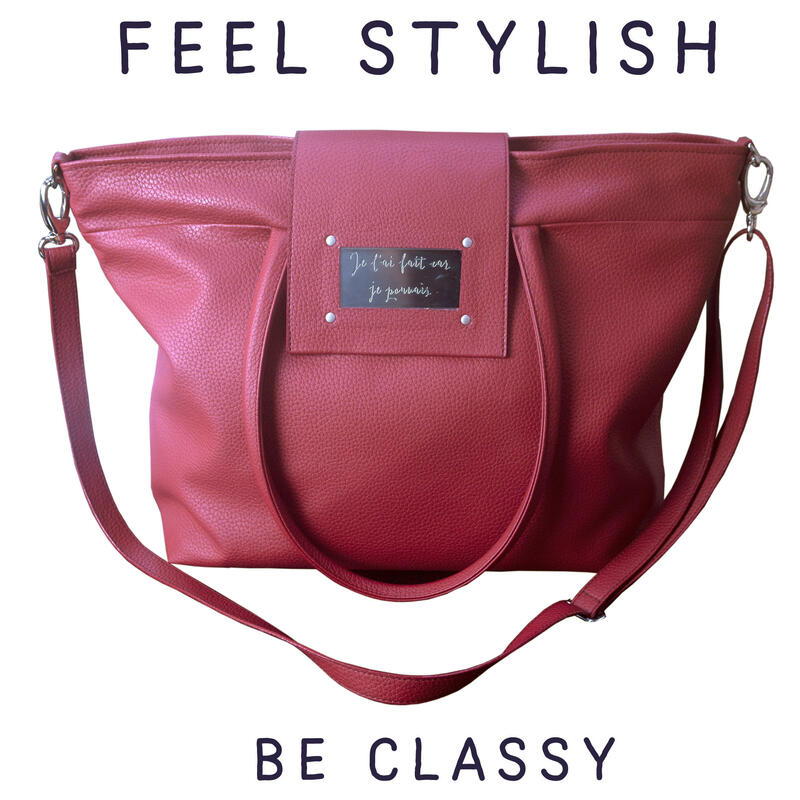 Here you will mis with like-minded people, find recipes and ideas to help make your life better with your Grace Handbag. You will also be the first to know about new products in the Janet Jones Collection Luxury Inspirational Lifestyle Range.